Wanting to influence the Prime Minister is something I suspect most of us would love to do right now. 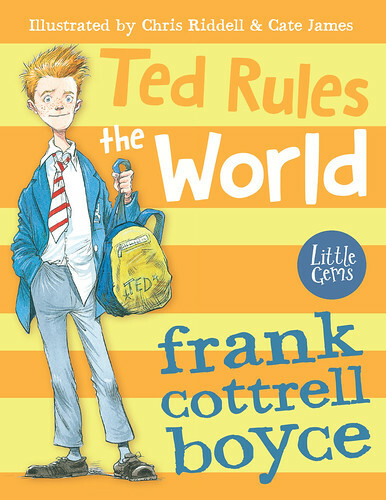 In Frank Cottrell Boyce’s Ted Rules the World, nine-year-old Ted finds that he actually can do that, much to his surprise. Just about everything he suggests or talks about starts to happen. I mean, who wouldn’t ask for free Premier League Cards if they had the PM’s ear? If that’s not an end to bullying, I don’t know what is. The thing is, Ted hasn’t met the Prime Minister. All he does is talk to his best friend, and occasionally to the lady at the till in the local shop. 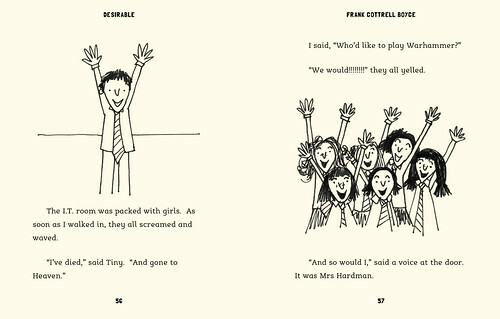 And she remembers that Ted supports Stockport County (yeah, I don’t know how that sneaked into a proper book). It could be she is not a real till lady. Or maybe she is, and the lesson to us all is to speak more to the people who take our money. And why Ted? Even if he didn’t support Stockport County, he is still only a small boy. 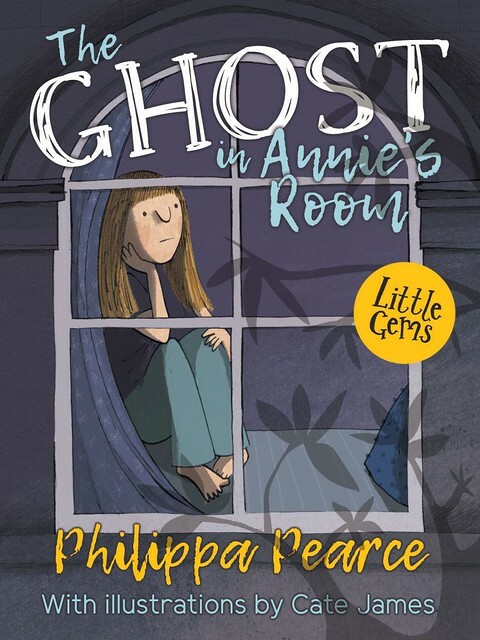 This book has not one, but two, illustrators; Chris Riddell for the front cover, and Cate James for all that happens inside the covers. It’s a true Little Gem. Oh how I needed this book! I know, it’s been waiting for my attention a bit longer than it should have, but I was truly grateful for Desirable once I got to it. George is a loser, and it’s brought home to him when even his Grandad can’t quite be bothered to do much for his birthday. No one else came to the party, and Grandad left pretty swiftly, after having given George the very same item that George’s mum once gave her dad (I believe it’s called re-gifting). Although, perhaps Grandad knew what he was doing? George’s boring life suddenly changes. He becomes desirable. Not that that is necessarily as desirable as you’d think before you reached desirablity. 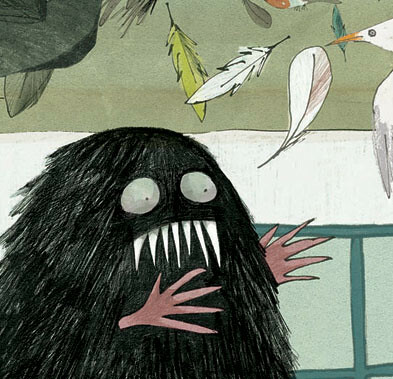 This story is as heartwarming and funny as you would expect from Frank, and with very ‘undesirable’ illustrations from Cate James, in a desirable sort of fashion, if you know what I mean? Those teachers are downright weird. Just saying.